Would you like to help us promote Small Fandoms Bang? Simply copy the code in the box and paste in your journal/community/anywhere ads are allowed that fit the challenge! Thank you! A 10,000-word big bang for small fandoms! 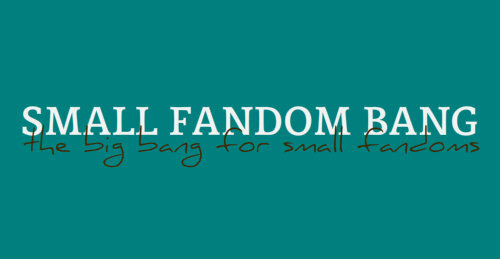 Welcome to Small Fandoms Bang, the big bang for small fandoms! Posting of fic and art begins on Friday, April 5 and runs through Tuesday, April 30. ~What Qualifies As A Small Fandom?